What’s the deal! You are working really hard putting in tons of time, but you are not getting promoted at work. Your workload just keeps getting bigger, and you are handling it by putting in longer hours to stay on top of everything. But you know deep down inside that you are being taken advantage of. Others around you are not working nearly as hard. Several decades ago, spending long hours working was an indication of an employee’s devotion and loyalty. It was not only commendable, but it was the expectation. Those who were not breathing, eating, and sleeping work were considered lazy. Those who were immersed in their work, were being promoted at work. There has definitely been a cultural change since those days of old. It has become more popular to forego working long hours in lieu of working smarter. In fact, enhancing time management skills to be able to achieve more in less hours is the desirable behavior in the workplace today. So if your reason for working long hours is to get promoted, a better title, accolades, or any other reward, forget it! You have to change your strategy to advance your career. 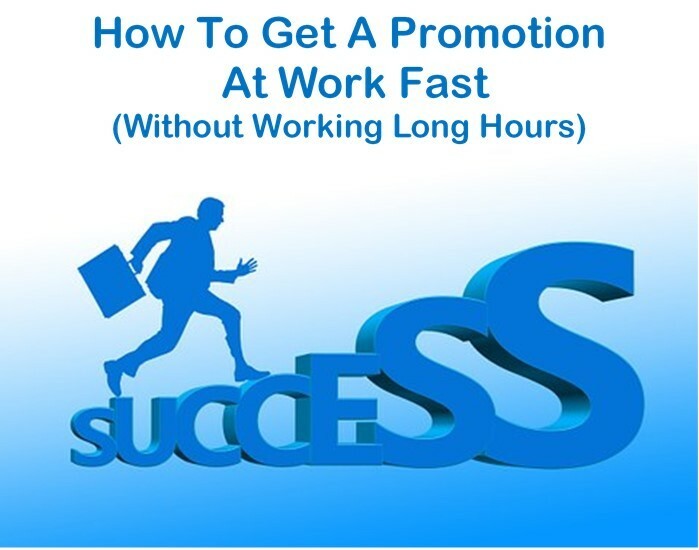 There are many ways to get promoted at work that you are likely overlooking. Your strategy to advance your career has to be oriented toward setting yourself apart from the norm and making yourself appear irreplaceable. Advancement in the workplace will involve focus on attitude, mindset, marketing yourself, competence, and leading edge knowledge. The list below contains tips to follow to ensure you are doing what is needed to be recognized as a valuable employee, the kind that shouldn’t be let go doing a layoff, and one that deserves a promotion. These tips are beyond the basics of timeliness, trustworthiness, and being dependable. You can be great at what you do and still not get promoted at work; you must know and master the promotion rules. 1. Be an expert and share the knowledge. Stay current in industry and professional skills. Make time for training and reading about industry trends and new technologies then demonstrate your expertise by sharing. You must carve out time to learn so that you will become recognized as Go To person for your knowledge and skills. 2. Take the lead on assignments and show ownership. Taking ownership create opportunities to demonstrate responsibility, good judgement, courage, and other leadership skills. Companies are looking to promote leaders in every job. 3. Be a self-starter. Don’t wait to be told what to do. Anticipate your manager’s needs and address them before being asked. 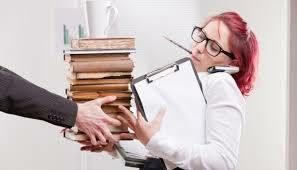 Typically there are quick administrative tasks or information the team needs that you can provide with little effort. 4. Continuously seek to improve and add value. Identify the gaps and direct them to appropriate people. Help solve others problems without taking on other’s responsibilities. 5. Embrace change. Be a change agent that is not afraid to fail. 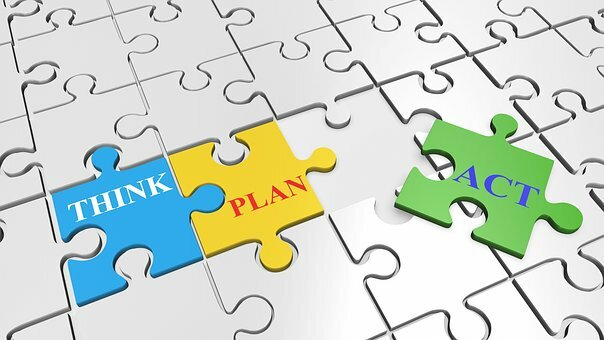 Think of solutions and offer solutions to wasteful or complex situations. 6. Attitude is important. Be professional and approachable. Your attitude determines your altitude. 7. Strive for Excellence. Little habits create lasting impressions. Put your best foot forward; proactively communicate; proofread written documentation; perform with quality; show up to meetings on time; don’t engage in rumor mill; dress the part. 8. Be goal-oriented. It is important to do those tasks that will deliver the biggest results. Not all tasks are equal. Focus on tasks that will accomplish the goals. Don’t major in the minor stuff; evaluate whether it is major or minor and handle accordingly. The key is the 80/20 rule. 20% of tasks deliver 80% of results. Don’t waste time trying to reach perfection on everything. Be selective. 9. Delegate. Learn responsibilities of others so you can direct work to the appropriate person when you are approached with a task or an assignment. The worst thing you can do is do what someone else is hired to do; that is duplication and unprofitable. Trying to answer every request is a mistake and take time away from the tasks that are assigned to you. Leaders recognize team play and getting the right work to the right person is productive. 10. Have a roadmap and seek out a mentor to help you navigate. You are 100% responsible for your career. If you will just start functioning in that role, seeing yourself in your new role, acting like that role, speaking like that role, dressing like that role, then it will become familiar to you and one day you will find yourself in that role. As you read through items above, surely there is one area you can improve upon. What is preventing you from getting that promotion you desire? How do you set yourself apart at work? Would your company, manager, and peers feel that you are indispensable at work? Please comment below, I would love to hear from you. Sometimes getting promoted is a faster way to the unemployment line as well. I like being low man on the pole lol onl because with promotions becomes less respect for the hard work you do ( in some cases not all) but I agree with everything you say above if you do want that promotion you deserve 🙂 Great article!!! That is a good way to look at it, Laurie. Be careful what you ask for, lol. What’s interesting about the ideas in this post is that they also apply to being a valuable, influential employee even if you decide to pass on the promotion. Thanks for commenting and pointed out a different way of looking at all of this. This is a good summary of proactive workplace behaviors! I think the key to any promotion is definitely becoming indispensable to your boss, or your group. That way (as a bonus) if they ever need to downsize, your name will simply never go on the list of people who can be trimmed. Thanks for the good suggestions! Absolutely. Staying off the downsize list is more important than getting promoted, especially with all the mergers and weakened economy. Great feedback and thanks for commenting. Wonderful article !!! very informative tips you have provided here i would like to add one point here i.e prove them why you are worth for this organisation and focus on right people. Great point Rahul. You can prove to them by your actions. You can also meet regularly with the right people to go over your accomplishments reglarly. Thanks for sharing Rahul.